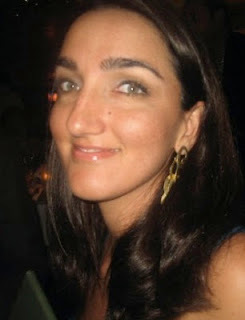 Diary of a Psychic Healer: Awaken Your Intuitive Super Powers! Awaken Your Intuitive Super Powers! The past few months I have been leading an intuition class where we awaken the Chakras with creative meditations, and through the Chakras, the different aspects of our intuition: sight, sound, feeling, taste, touch & smell. 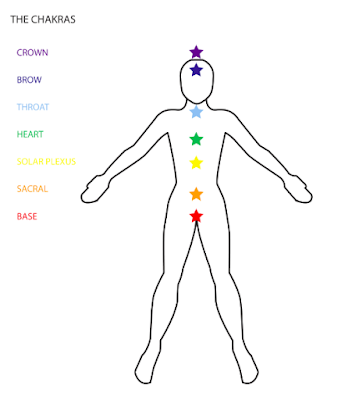 The focus has been on the Chakras because they each relate to a specific intuitive skill and life sphere. For example, communication and clairaudience at the Throat, clairvoyance and thought processes at the Brow, or personal power in the Solar Plexus. One of my favourite meditations involves visualising light as it makes it's way through the body, usually blue or violet in color - a simple way to activate our Chakras. By healing and clearing the Chakras, we can also change the way we view and relate to the world. We can learn to access our intuitive hunches in our daily lives, while using those insights to boost our personal relationships, career and hobbies ties with fresh energy, passion and optimism. In hindsight, taking this visual journey through the Chakras and awakening them one by one (bottom-up) made my learning process easier. It makes is less likely for us to feel overwhelmed - a common complaint from empaths and highly sensitive people. The meditations and the Chakra Healing book are based on tools that I had the pleasure of learning as a student at The College of Psychic Studies, and the School of Intuition & Healing in London, where I felt like Hermione Granger for the better part of 4 years. My sister teased me about that, how I moved to the UK and found a magical school right away! An amazing experience that I'd like to share with others. So When Do We Start??? I will upload a guided meditation focused on gratitude after Thanksgiving (Update!!! HERE IT IS). In the meaning, please begin with one of the guided meditations below as they will help you activate your energy, especially the lower chakras which are so vital to grounding and shielding ourselves intuitively. The second one is my favorite! 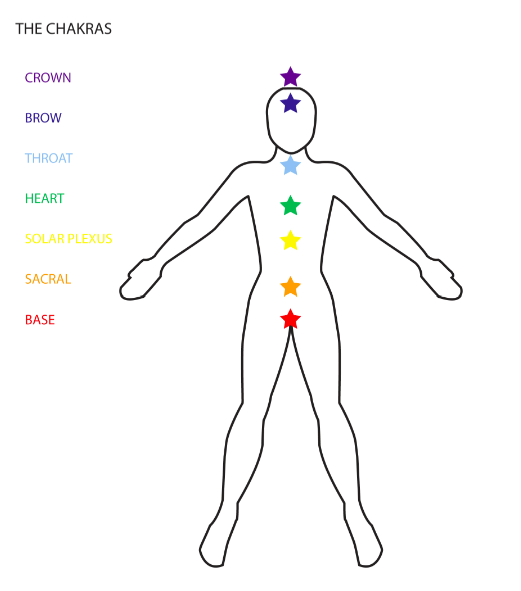 A) The Chakra Meditation will guide you through activating your Chakras and closing down at the end. This makes it easy for us to switch on our intuition when we need it, and then to shut it off when we're done. Otherwise, we can become overwhelmed by crowds, or in social situations with lots of people. Learn more about clearing and shielding HERE. B) The Flowerbed Meditation (HERE) teaches us to ground and activate our energy before going into the Heart Chakra to connect with our angels, spiritual guides and our higher self. Both of these meditations are from my book which explores intuition, energy healing, crystals and angels in depth. The weekly meditations have been great fun to lead each week, and I am looking forward to giving them online too. For now we are going with YouTube because it is open to everyone. Facebook Live is fantastic, but some of my readers aren't on Facebook (how they have managed to resist, I don't know LOL). We will have a private Facebook group HERE, though. I hope to see you there! The gratitude meditation is available HERE! Learn to ground yourself in Mother Nature through the Root Chakra, gently clear emotions and/or beliefs through the Sacral & Solar Plexus Chakras, before letting your Heart overflow with love, energy healing and plenty of liquid light. Hope you enjoy these meditations! I would also suggest that you read through the guided meditations in Chakra Healing & Magick, and record them for yourself as your body and subconcious respond best to your voice. After all, we listen to our thoughts and words all day, programming the our energy body and mind without doing it consciously.